This is a simple DIY Father’s Day gift for your dad or hubby that loves to grill meat! It’s so simple that even that kids can make this gift for Dad! Can you believe that Father’s Day is literally right around the corner?! 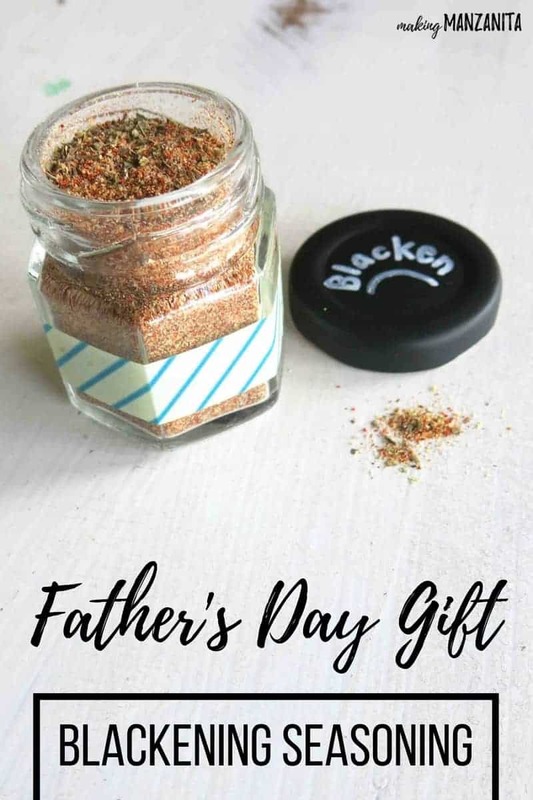 Today we are sharing a simple gift idea – DIY spice rubs for Father’s Day gifts! If your dad or hubby is anything like mine, they would love nothing more than to be grilling up some meat for Father’s Day. 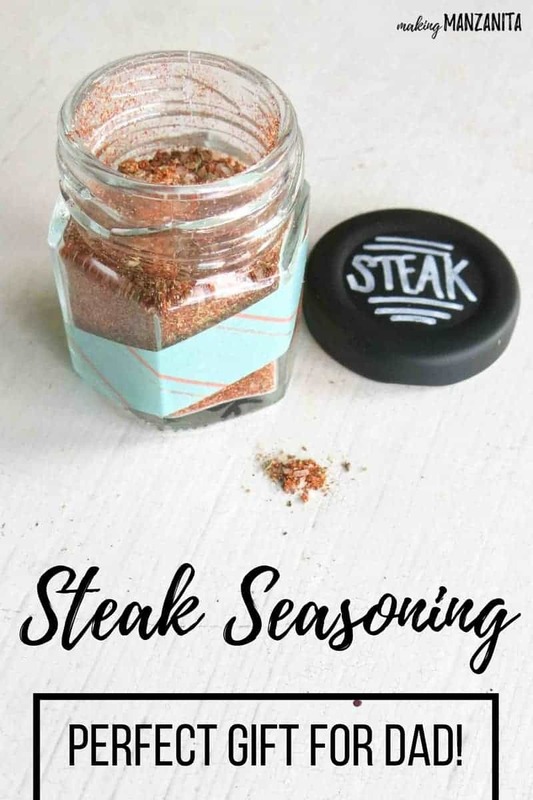 Dry rubs are a great and simple way to season meats before you cook. They can be combined with a sauce or just used straight onto the meat. 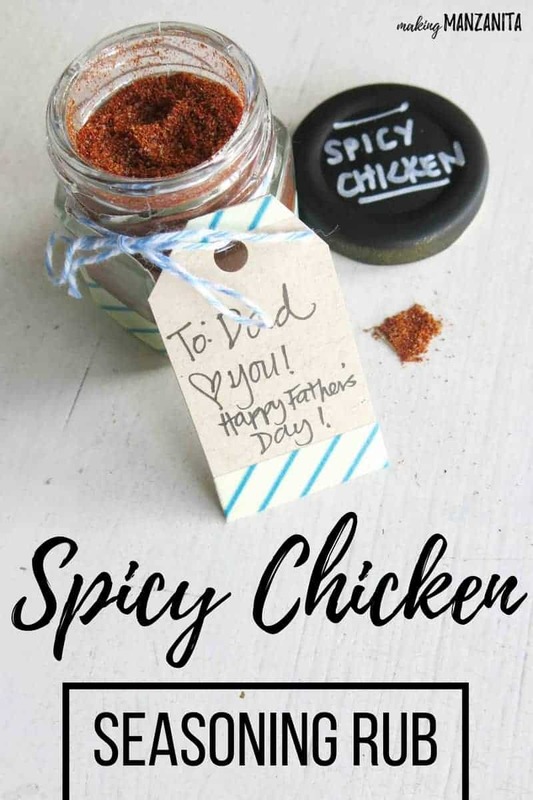 These homemade spice rubs for Father’s Day gifts are sure to impress Pops. Did you guys have a good Mother’s Day last weekend? We were traveling most of the day home from my little sister’s wedding in Idaho. After we got home, my hubby and brother made sure that I sat with my feet up in the recliner for the evening. I enjoyed a super yummy dinner that they made. I was so spoiled! Over this past year, I have become more and more thankful for my supporting and encouraging hubby that’s been by my side every step of the way. Watching him turn into an amazing daddy has been one of the best parts of becoming a parent. All that to say, dads deserve to be spoiled on Father’s Day! 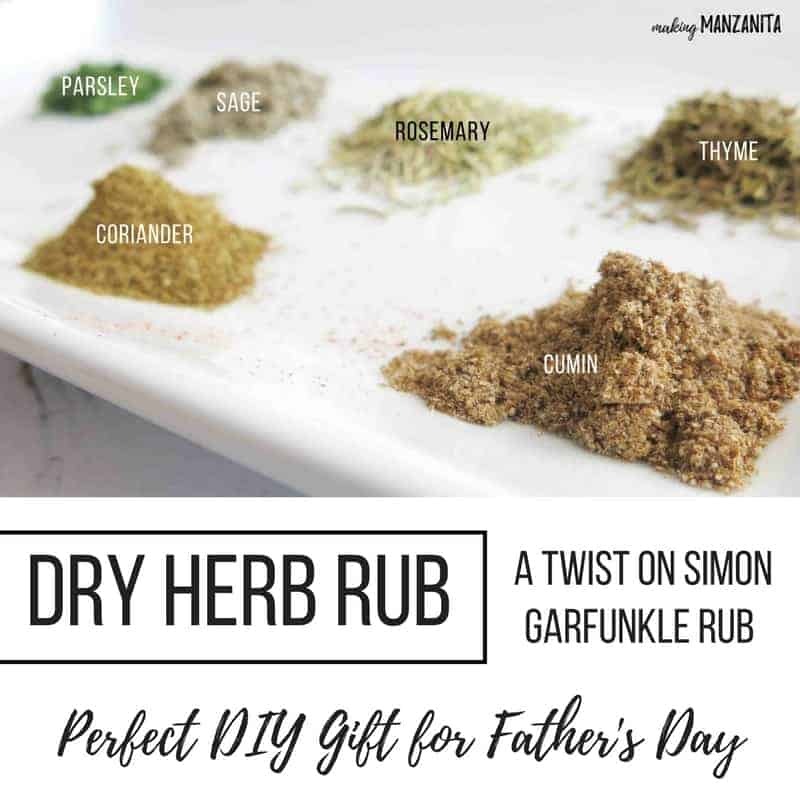 So, give these DIY spice rubs for Father’s Day gifts a try and spoil dad! Here’s a replay of the live video I did over on Hometalk’s Facebook page to show you how to make these Spice Jars and the bottle openers for Father’s Day. You can shake or sprinkle the spice rub directly onto the meat. For meat with a skin, you want to apply the rub underneath the skin. After applying the spice rub, let it sit in the fridge for about an hour so it is absorbed into the meat before cooking. Spice rubs should be stored in airtight containers (like these that I used) and kept in a cool, dry location. It’s super simple!! 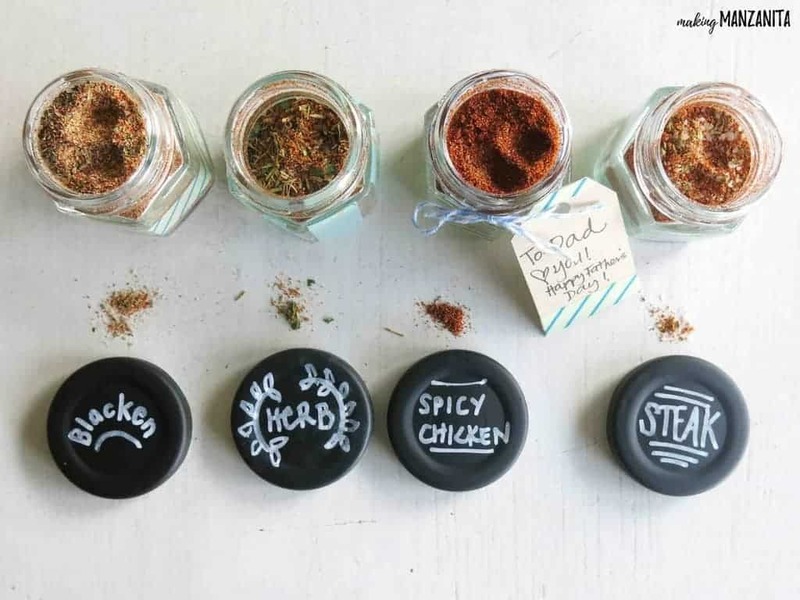 All you do is add the amounts into a bowl and toss together, then funnel the rubs into airtight containers. If you want to decorate your spice jars like mine, spray chalkboard paint on the lids, label with chalk marker and decorate the jars with washi tape! Such a fun and easy craft for Father’s Day gifts, even the kids can make this gift for Dad. This is a twist on the age old Simon Garfunkle rub. The addition of ground coriander and cumin adds a hint of citrus flavor. 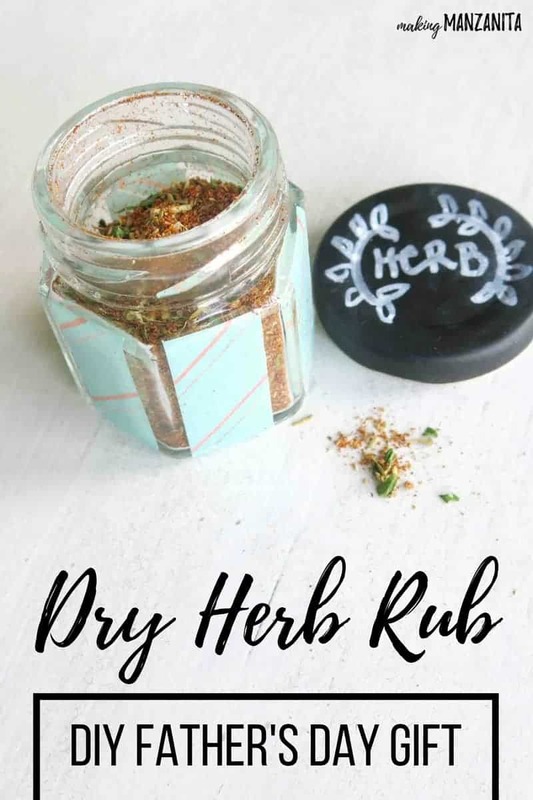 The dry herb rub is great on turkey, chicken or pork. Coat the meal with oil and a bit of salt. Then apply the rub and let set for one hour in fridge. It’s also amazing sprinkled on grilled veggies or even your eggs! My hubby loves blackened burgers, so this one is great for sprinkling on your burgers before cooking. 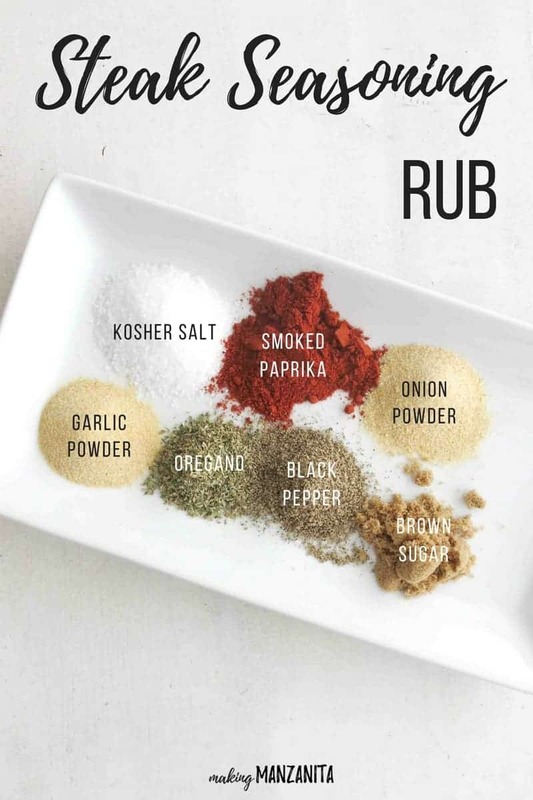 It also is a perfect for rub for getting that blackened chicken or salmon, really anything that you want to have a blackened taste! I’m a huge fan of a good steak and my love for steak has grown since my Pop started his own meat market in our hometown. We usually have a steak or two from him in our freezer. Logan and I have been practicing different ways to prepare steak. A good steak, of course, begins with good meat. Taking the extra time to find a local butcher in your town that sources high quality meat will make all the difference! Do you have a favorite butcher?? Once you have good meat, a good seasoning rub will enhance the flavor. 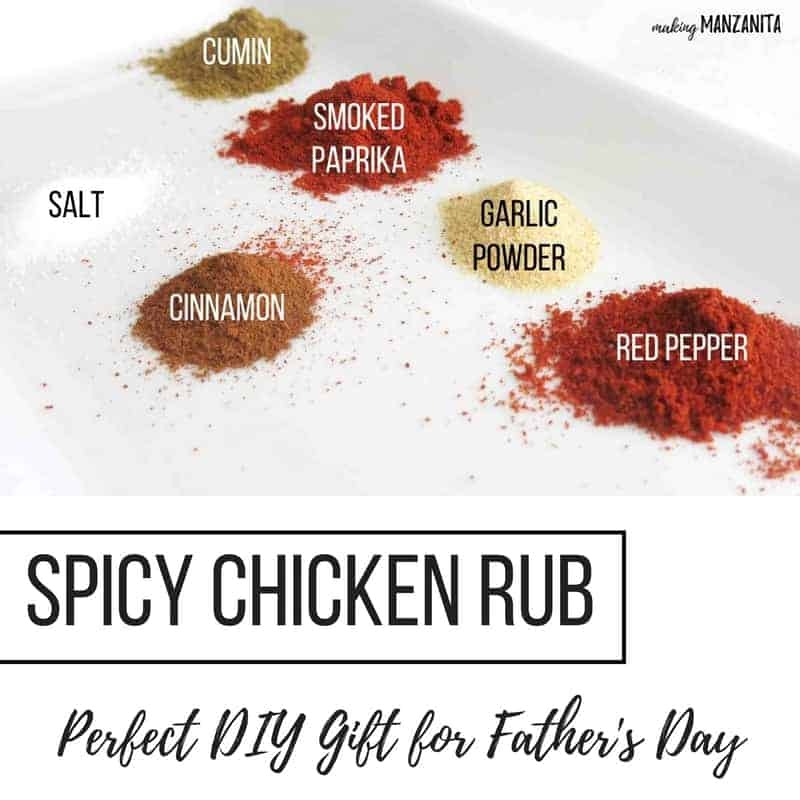 This is one of my favorite DIY spice rubs for Father’s Day gifts. This spicy chicken rub is simple and awesome. Always start chicken by rubbing it down oil and a bit of salt before applying the spice rub. Give the spice rub 30 min to an hour to soak in before cooking. Decorating the spice jars was easy! I just painted the lids with chalkboard paint and decorated the jars with fun washi tape! If these don’t make your mouth water for some meat, I don’t know what will! 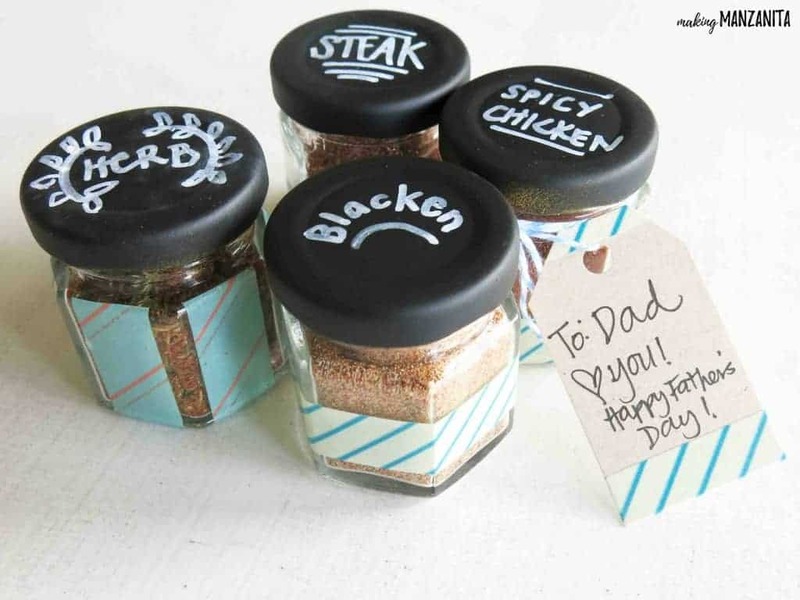 I think I’m even looking forward to Father’s Day if these DIY spice rubs are involved! 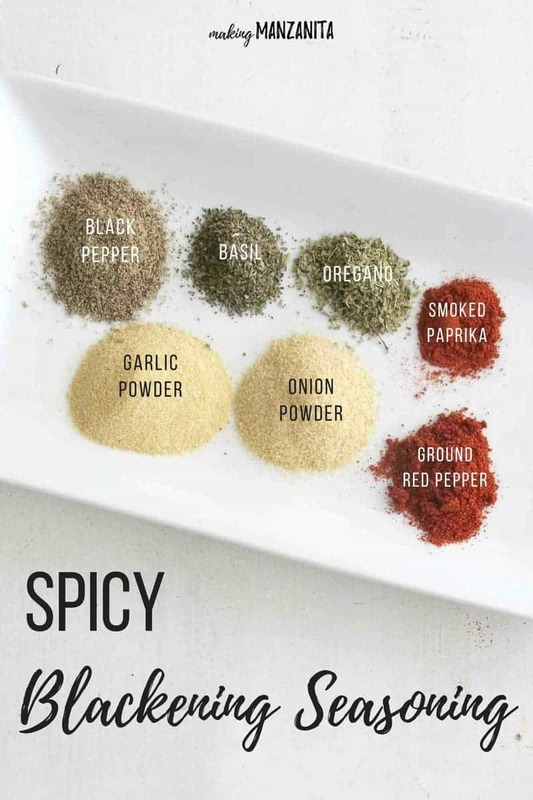 Have you ever used a spice rub before? 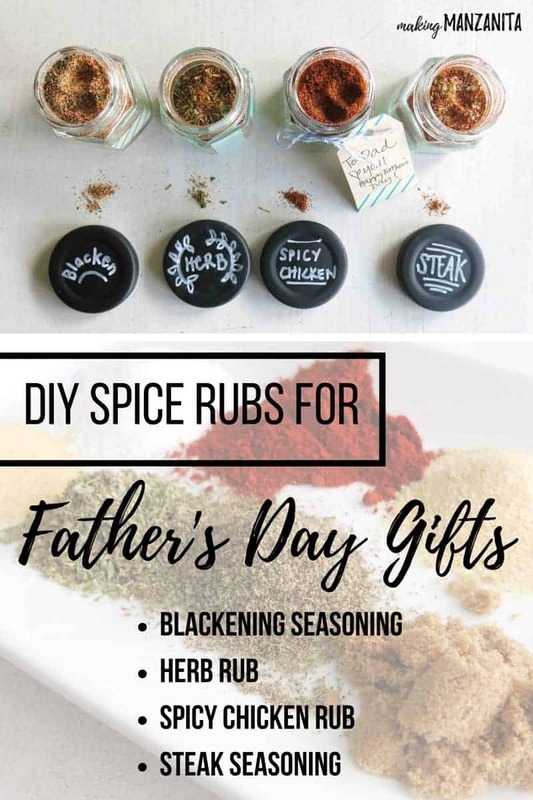 Which one of these DIY spice rubs for Father’s Day gifts sound yummy to you?! This is the perfect idea and I know Marcus would love it!! Time for me to get crafting! Hi friend! It was seriously SO EASY! And we had the steak one the other night and it was so amazing!